So yesterday was Easter Sunday. I had the opportunity to be the liturgist at church, which is a big step for me, considering where I’ve been. I’ve gone from a candidate for future ministry, to despair and brokenness. From there I went 180 degrees in the opposite direction. I couldn’t reconcile the form of Christianity that dominates American culture today with what I learned and believed about the teachings of Christ. I couldn’t see how Christians could trample poor people into the dust and proclaim a “gospel of prosperity.” I couldn’t see how followers of Jesus, the Gentle Healer, could deny any human being medical treatment or health coverage based on their ability to pay for it. I couldn’t square Christ with the violent desire of American conservative “Christianity” to continue to lobby for endless war and destruction. I couldn’t see Jesus refusing to do business with a gay couple. So I threw the baby out with the bath water. I was done with God, Jesus, Christianity, and religion in general. I turned to science and atheism hoping to find the answers that I sought. That didn’t work either. Oh don’t get me wrong, science does a wonderful job of explaining weather, biology, physics and the like, but science can’t help someone in the depths of despair, or someone who might be considering taking their own life. Science just shrugs and points to a meaningless mechanism and quietly goes on about it’s business. So I didn’t find any help there either. But then last year, after talking to a few different people and reading some wonderful books most notably by Brian McLaren, I began to feel a gentle tug in my heart and a still, small voice in my soul…. When Christ appeared to Mary on Easter Sunday, she didn’t recognize him at first. She thought he was the gardener. Still trapped in her old ways of thinking, she pictured Christ as dead to her and her faith disrupted and blown away. She couldn’t get past it. Bonhoeffer and so many others had it right. We have to die to ourselves, to crucify our old ways of thinking, in order to rise again and become a new kind of creation, a follower of the risen Lord. It’s not just about dying in the physical sense and hoping that there is something beyond that. Boy, we sure play it out to make that the be all, end all, but that’s not even the half of it. When Jesus walked the Earth he went around saying that the Kingdom of God was here, RIGHT NOW. He truly became king of that realm when he took his crown of thorns on his head and took his place on the cross shaped throne of wood. Then, after three days, the newly risen Jesus went before us to lead an uprising of his new kingdom. The oppressed triumphing over the oppressor. What if Christians could leave all these other things, the things that don’t reflect God’s desire for peace and reconciliation in creation, behind and focus on life, the oppressed, love, hope. peace, and reconciliation? How much good could we do in the world if instead of approaching others with a closed fist, we approached them with open arms? What if we discarded our focus on escaping this world for the pie in the sky and focused instead on remaking it in the image that Christ outlined in the Sermon on the Mount? It’s going to take dying to our old ways. It’s going to take an uprising of the most peaceful, hopeful, and loving kind. Maybe that’s what Mary sang about back before she ever gave birth to her son, the man who would be the ultimate example for The Way. Can you sign on to the uprising? Faith, God’s Call To Adventure. Some of the most enduring stories in our culture are adventure stories. Think about it for just a minute and I’m sure you can name at least a couple. For me the first two that come to mind are Star Wars and the Lord of the Rings. Both of these stories feature an individual who leaves their home and goes out on a path to fulfill their purpose in life. In psychology and literature, there’s even a name for this: it’s called an “archetype,” or more specifically this particular archetype is called “The Hero’s Journey.” In fact, some people would say that you can boil pretty much every story down to a hero’s journey. Of course the Bible is full of these kind of stories. One of the first ones we come across is the story of Abram in Genesis 12. 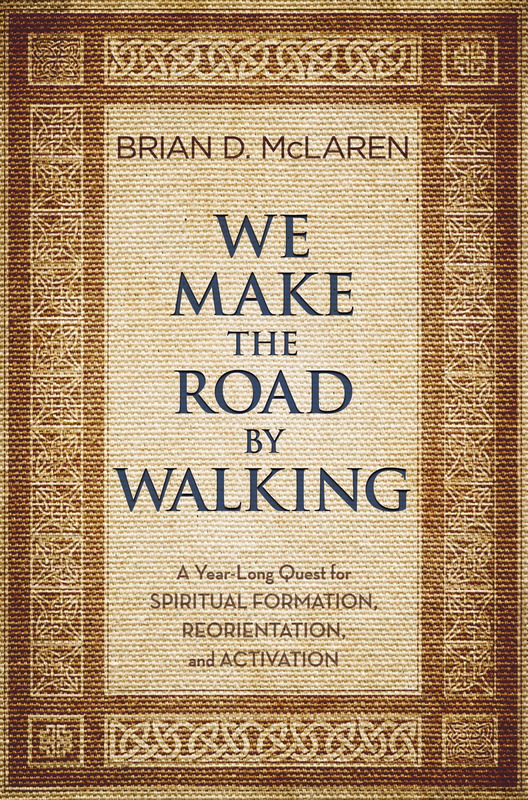 It’s this story that Brian McLaren introduces us to in chapter six of “We Make the Road By Walking.” I’ve never given the background to this story much thought before, I mean it’s one I must have heard a thousand times in Sunday School when I was a kid, but McLaren provides some insight. Abram and Sara lived in Ur, one of the first civilizations of the Middle East. The historical city-state of Ur was located in what is today southern Iraq, and is cited in written history at least as far back as the 26th century BCE. Cuneiform documents that have survived since the early Bronze Age talk of Ur as being the most organized and powerful city-entity that that particular area of the world had known up until that time. They had an army, they had wealth, and they were powerful. So it’s this powerful, comfortable society that God tells Abram and Sara to leave and head out on the road, to go have an adventure. If they do so, God makes them a promise. He tells them that they will become a great nation and that all the nations on earth shall be blessed through them.. That’s not exactly small potatoes. Abram and Sara choose to trust in God, and they leave, taking the first steps on their “hero’s journey,” their journey of faith. As McLaren says, we are also called to make that journey, to take those first steps in faith. However, this call to faith is meant to be a call to adventure, which isn’t often how our culture pictures faith these days. As Marcus Borg writes in his book “The Heart of Christianity,” the modern Christian view of faith is largely a matter of the head, the mind. Faith is a checklist of things that we say that we believe are true, and a list of behaviors that we think should be avoided. We check the appropriate boxes on our list and compare it with others, testing one another’s orthodoxy. However this faith is very passive. As long as we check off the correct things on the list, we’re good! We don’t venture out, instead it gives us license to sit in our pew every Sunday and be COMFORTABLE. But McLaren advocates a different kind of faith, This faith is ACTIVE, This faith is not always comfortable. This faith calls on us to have an adventure. To do this, we have to leave the comfort zone. Once we do, we get out in the world and try to walk and to live the way of Christ, We try to be peacemakers, we try to help others. As we do this, we gain new experiences and knowledge. We meet others on the path to share our adventures. In short, as we walk the path of Christ, we become a blessing to others on the way. I can tell you from first hand experience, it’s richly rewarding. I wouldn’t trade my time working on an orphanage in Mexico for anything in this world or the next. Of course if you’re familiar with the story of Abram and Sara, you know that they didn’t always get it right. They screwed up a few times. You also know that it was often far from comfortable for them even when they were on the right path. Our pastor had an interesting quote on the church billboard last week that I think speaks to this. It said: “God doesn’t promise a smooth ride, just a safe landing.” The ride isn’t always going to be smooth. The best adventure stories are never easy. Would you want to read about Frodo Baggins or Luke Skywalker if they didn’t encounter struggles on the way? Of course not. 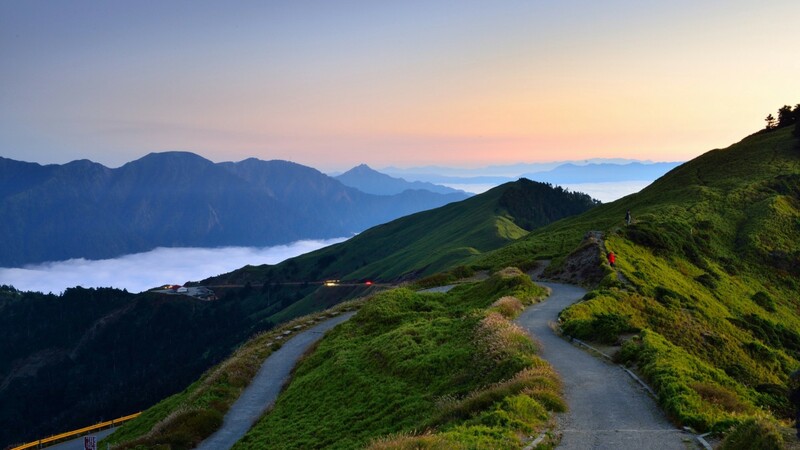 It’s the overcoming of difficulty that makes an adventure an adventure. We’re all going to run in to our share of difficulties. Some will be worse than others. We’re all going to mess things up and not get it right from time to time. However through it all God promises that he’ll be with us, that he’ll be there when we need him. Abram wasn’t perfect, the disciples weren’t perfect, and we’re not going to be either. However, when we take those first steps on our adventure in faith, we take the first steps on a road that can be richly rewarding for us, and more importantly we can be a blessing to others as they see Christ in us.